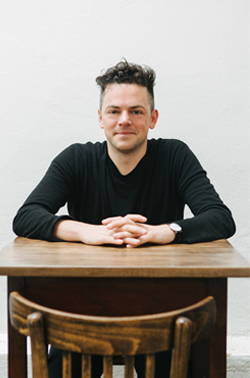 Nico Muhly (b.1981) is an American composer and sought-after collaborator whose influences range from American minimalism to the Anglican choral tradition. The recipient of commissions from The Metropolitan Opera, Carnegie Hall, St. Paul’s Cathedral, and others, he has written more than 80 works for the concert stage, including the opera Marnie (2017), which premiered at the English National Opera and was staged by the Metropolitan Opera in the fall of 2018. Muhly is a frequent collaborator with choreographer Benjamin Millepied and, as an arranger, has paired with Sufjan Stevens, Antony and the Johnsons and others. His work for stage and screen include music for the Broadway revival of The Glass Menagerie and scores for films including the Academy Award-winning The Reader. Born in Vermont, Muhly studied composition at the Juilliard School before working as an editor and conductor for Philip Glass. He is part of the artist-run record label Bedroom Community, which released his first two albums, Speaks Volumes (2006) and Mothertongue (2008). He lives in New York City.